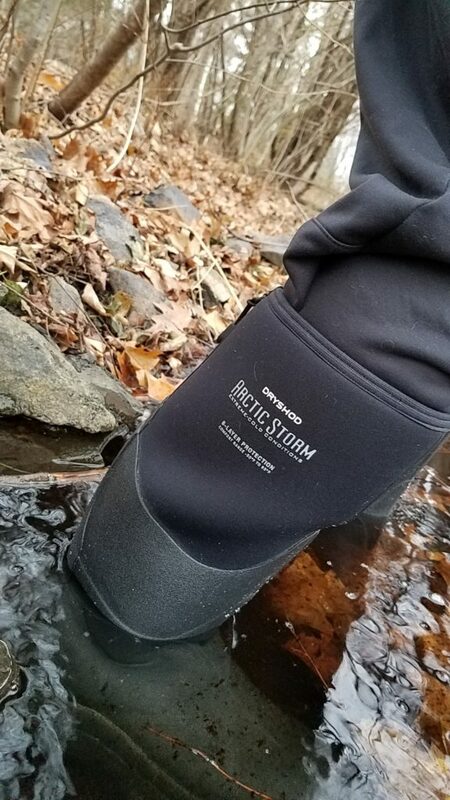 Dryshod boots are all treated with Hydrokote, a nano-scale hydrophobic water repellent that repels water, mud, ice and organic chemicals. Nano-scale means the pores are smaller than liquid molecules but larger than air molecules which, translated, means waterproof with breathability. Repelling water means the neoprene won’t get soggy and then heavy. It also means your boots won’t freeze and ice up. And, especially important to farmers and ranchers, it means farm chemicals won’t seep into the seams and rot away your boots, a longtime problem with uncoated rubber boots.